SALT LAKE CITY, UT - SEPTEMBER 30: Trey Burke #3 of the Utah Jazz poses for a photo during 2013 Media Day at Zions Basketball Center on September 30, 2013 in Salt Lake City, Utah. 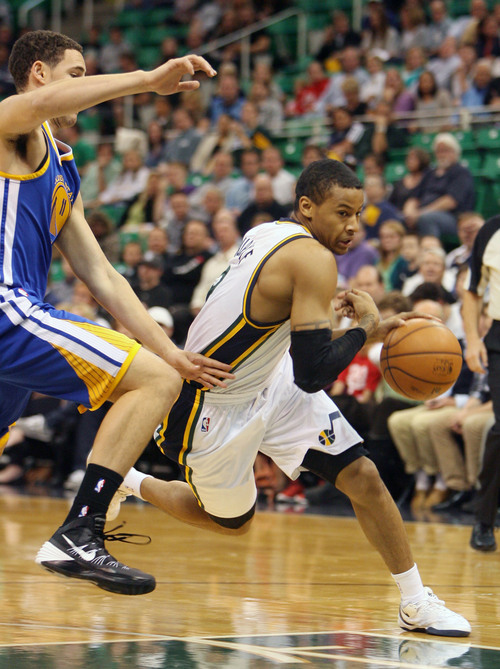 Steve Griffin | Tribune file photo Utah's Trey Burke drives around Golden State's Klay Thompson during a game in October. The Jazz expect to have a timeline for his return to the lineup after a doctor's examination of his fractured right index finger, scheduled for Monday. 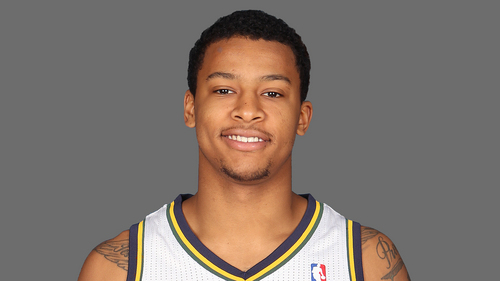 Jazz rookie point guard Trey Burke attended but did not participate in Monday morning&apos;s shootaround at EnergySolutions Arena. Burke won&apos;t play tonight against the Denver Nuggets, but he is scheduled for a doctor&apos;s examination of his fractured right index finger Monday afternoon. The Jazz expect to have a timeline for his return after Burke&apos;s visit to the doctor. Utah is 0-7 to start the season for the first time since the franchise moved from New Orleans in 1979. They are counting on the eventual return of Burke to jump-start their offense. His ability to break down a defense off the dribble is something the Jazz have lacked. "Trey is a great player," Derrick Favors said. "I hope he takes his time with it, but I also hope he comes back fast with it. I hope he&apos;s doing good. ... He&apos;s a competitive player. He wants to get back on the floor." The Jazz average only 87.7 points per game. They shoot 40.1 percent and commit 19.1 turnovers. Still, after losing to Brooklyn, Boston, Chicago and Toronto on last week&apos;s road trip by an average of 18.5 points per game, the Jazz are talking optimistically about their game with the Nuggets (1-4). "I think everybody is looking forward to tonight," said Marvin Williams, who played Friday at Chicago for the first time since offseason Achilles surgery. "To go out on the road and play the way we did  play four tough games and lose four games  I think we&apos;re all excited to get back in front of our fans and hopefully run off a couple of wins."